Iridescent Wristlet, elasticated and fits all. 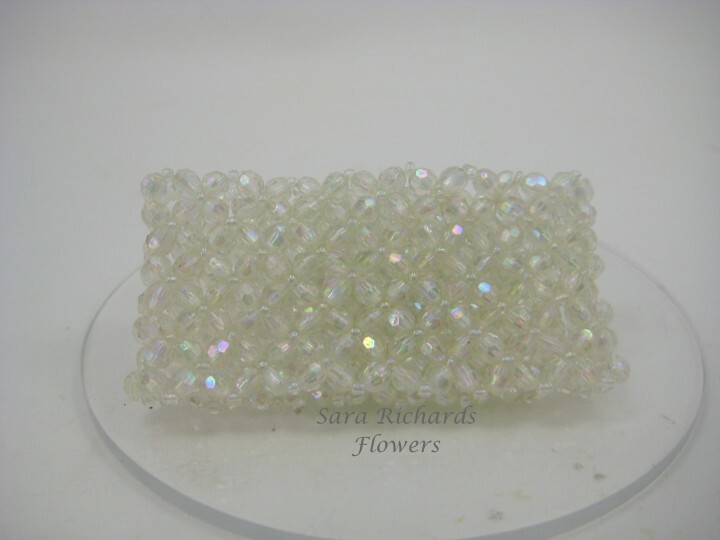 Lovely and sparkly, ideal for a little glitz and glamour. This bracelet comes equipped with the patented plastic attachment, making gluing on flowers to create a corsage, quick and easy.